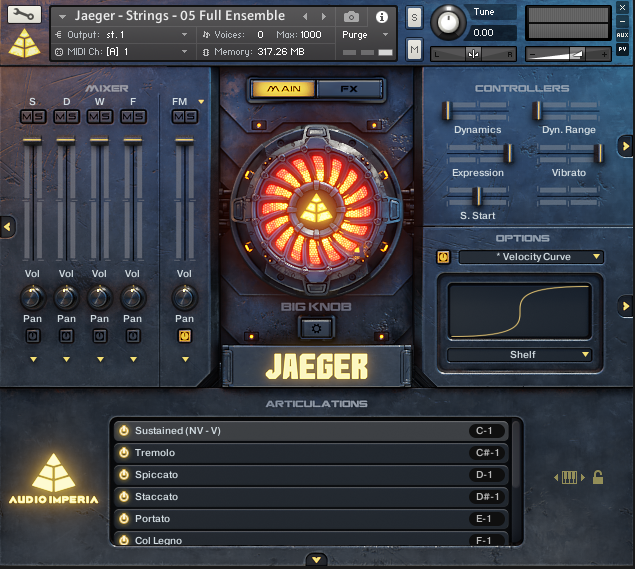 Just a few days ago, after much anticipation, Audio Imperia released a massive free update to their flagship orchestral library, Jaeger. This update is huge, and you can tell they took their time and really listened to user requests and critiques. This review is going to cover my overall thoughts and critiques of Jaeger ($599), including the recent improvements featured in the 1.2 update. When Jaeger was first announced (see teaser above), it came as a bit of a shock to some. Audio Imperia, as a company, are known for their cutting edge sound design libraries. When I think of the name Audio Imperia, I Instantly think of AAA film trailer effects, such as intense braams, risers, gritty synth pulses, atmospheres, mechanized hybrid FX, and the like. This company not only carved out a niche, but earned a spot at the top, offering incredible designed sounds at really competitive prices. While a lot of their products did include organic instruments, such as Trailer Guitars, and their Klavier Piano series, I truly never expected them to release a full fledged orchestral library. 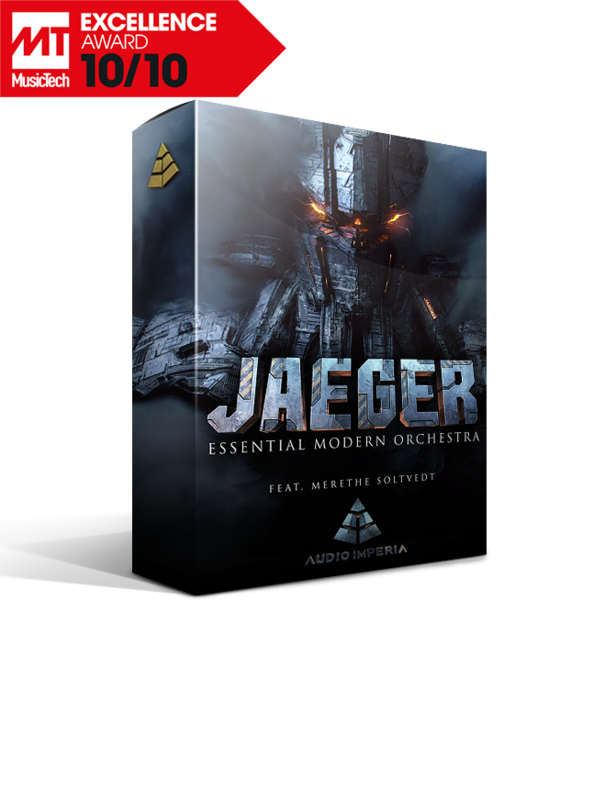 There was such a massive market already for orchestral samples, from companies such as Spitfire Audio, 8dio, Cinesamples, Orchestral Tools, and East West, so when they did announce their plans to release Jaeger, my initial reaction was one of surprise, quickly followed by excitement. The GUI is sleek and modern. I had yet to be disappointed by anything released by Audio Imperia, and the more I learned about Jaeger, the more eager I became to hear more demos and check it out for myself. The artwork and marketing alone sure go a long way to selling the product. They made it clear, this is not your mother’s orchestral library... this is modern, epic, and in your face. You won’t find any vague and pretentious marketing campaigns here! You know… the kind with musicians playing in slow mo, quiet string swells and minimalist ambiance (aka… Spitfire Audio). Instead, we get massive braams, blaring horns, tight string ostinatos, and the most gorgeous legato vocals you’ve ever heard. To top it all off, the visuals seem straight out of a sci fi blockbuster... you’re faced with this badass artwork of a giant mechanized robot (like the Jaegers in Pacific Rim), a big knob in the center of the GUI that looks sort of like the arc reactor on Iron Mans chest, and just an all around sleek, futuristic, mechanical design. Pretty freakin cool, if you ask me. I held off on buying this library for a while. I recently had purchased Spitfire Albion One, I didn’t need another all-in-one orchestral library. I had also recently purchased 8dio’s Century Strings and Brass, plus Keepforest Evolution Dragon and Atlantica...I didn’t need more individual instrument sections or any more hybrid trailer FX. Plus, those companies had years of experience perfecting their craft... I’m sure many of us wondered that maybe Audio Imperia bit off more than they could chew. It’s their first attempt at anything orchestral and they chose to do an entire orchestra (minus woodwinds, more on that later...) How good could it be? The first look and unboxing videos started to make their rounds on the interwebs (thanks Daniel James!) The reviews began to pour in! General consensus: it was GREAT. Not just good, but great, even excellent! It earned an astonishing 10/10, a perfect score, from MusicTech magazine. That’s pretty impressive. 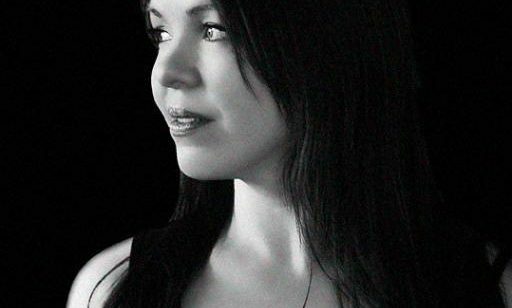 You couldn’t even begin to talk about vocal samples online without someone raving about the Jaeger legato vocals by Merethe Solvedt (of Two Steps From Hell fame). I had to admit, everything I had heard sounded stunning. Yet I continued to hold off on purchasing. I mean, if it had woodwinds, I would have been all over it from day one. To me it felt a bit incomplete, but I couldn’t get over the sound of that legato vocal patch I kept hearing. It sounded so beautiful yet epic, and the legato so natural and smooth you could swear she was standing in front of you, singing her heart out. They had a promo and sold the vocal library on its own, and of course I had to check it out. After buying just the vocal, about a month later I had caved and bought the entire Jaeger library. I had to have it. It was just too cool! Jaeger loads up into the file browser, or quick load, section of Kontakt, not through Native Access, therefor it is not compatible with the free Kontakt Player, which is always a tiny bit disappointing to me. Not because I personally use the free Kontakt player (though I know many who do), but because I just prefer having seamless access to my content in the library tab, and while it is such a small detail based on vanity, it feels so much more official having the nice little graphic there to click on to explore and load the content. Nonetheless, that is purely my personal taste. Jaeger is a very good sounding library, no doubt about it. It’s divided into sections labelled “hangars”, consisting of Strings, Brass, Percussion, Sound Design, and Vocals. The shorts are, for the most part, impressively crisp and punchy, in fact the staccatissimo brass is my new go to when I need to achieve a tight and punchy sound that bites right through the mix. While the brass shorts can be very aggressive and hot, I feel the spiccato strings, while perfectly usable, can sound a bit bland and lack detail. However, I do use them very frequently to achieve a full and lush Hollywood trailer sound, though usually layered under a more detailed ensemble that cuts through the mix. Alternatively, you can EQ them to bring out more of the highs. I noticed by default, the short notes were not syncing up to my tempo properly, instead sounding a bit sloppy and delayed. I realized I simply had to adjust the “sample start” slider all the way to the right, which made them perform like my other spiccato patches. While I first thought this was an odd choice, I do appreciate the amount of control this library offers, and by featuring a slider like this, it can consequently produce the tightest string ostinatos out of any library I own. Additionally, using this feature, along with a similar “Legato sample start” slider, can produce the fastest and most nimble legato lines I’ve heard, which is pretty impressive. 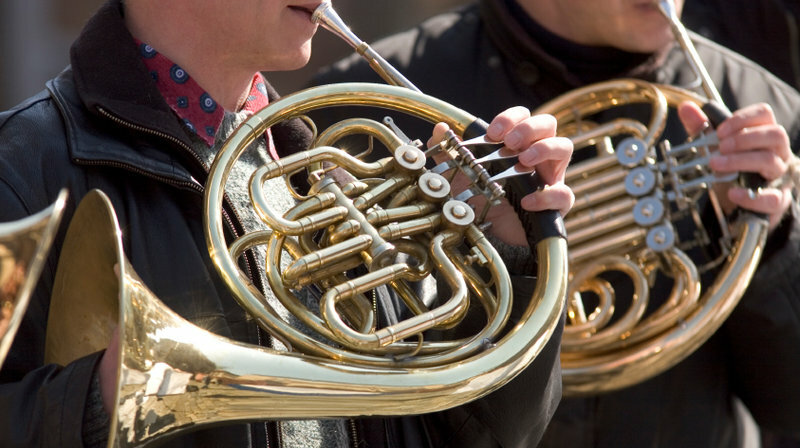 French Horns are essential for epic music, in my humble opinion! When I tested out the legato and long notes, the first thing that struck me was how incredible and lyrical the legato is. This is hands down some of the best legato I’ve ever heard, and by nature is incredibly beautiful, natural, and flowing, which, to me, somewhat stands in stark contrast of the “epic” and aggressive focus of the marketing. I found Jaeger had a beautiful and cinematic side to it, and was more than capable of producing soft and intimate lines that you’d expect in a John Williams or James Newton Howard score. I also found the horns, while beautifully sampled, did top out fairly early in terms of dynamics, especially for epic music. While they do provide an aggressive growl when they get louder, they couldn’t quite match the bold and precise sound of the 6 horns featured in 8dio Century Brass playing at their loudest. However, when layered with the trumpets, trombones and tubas, the long and short notes of the full brass section are stunning... very rich, full, and bright, and along with the legato, the brass section is a true highlight of this library. The trumpets are bright and full of life, while the trombones offer an aggressive and raspy edge, rounded out on the low end by the tubas. The strings have a nice, lush, Hollywood sound, and are much improved with the new 1.2 addition of NV (non-vibrato) samples as well as a vibrato slider, for more control over the overall sound. The cello and violin legato once again sounds fantastic, giving these sections a majestic and soaring vibe when needed. The strings, overall, do lean towards being more full and lush, as opposed to intimate and detailed, and although I find it is a nice balance overall, I would have liked a bit more detail in the spiccato strings. There is also a noticeable lack of dynamic layers with the short notes which is a bit frustrating. I also noticed the basses are quite weak compared to the rest of the strings, producing a very noticeable drop in volume going from the lowest cello note to the basses when an ensemble is loaded. This is what I picture when I hear the violin legato…lyrical and beautiful. Jaeger is a very dry library, meaning any reverb, or sound and space of the room, is little to none. I have no problems with this, in fact I sometimes prefer it, so I can apply the same third party reverb to all of my tracks and give it a more cohesive sense of space. One thing I did know going in, is that everything in Jaeger is recorded centered, meaning if you want it to sound more realistic and natural, you will need to pan each section accordingly. To some users, this is a deal breaker, though I personally don’t mind panning on my own. It would have been nice, however, to have a pre panned mic setting, so you could have both centered and panned mixes at the click of a button. The percussion section, while offering the nice touch of featuring both distance compensated (DC) and non-distance compensated (NDC) mixes, seems to be the weakest section out of the bunch. While they do include some great sounding samples, do not expect to achieve an epic, Hans Zimmer style percussion sound from what’s included in Jaeger. Nothing here sounds bad at all, just a bit underwhelming as far as ensemble sizes go . What they do provide, including hits, rolls, and crescendos, all sound great. While the library offers a lot, I feel including some truly epic percussion ensembles would really sweeten the deal. The package is rounded out with the absolutely beautiful solo vocals, performed by renowned vocalist Merethe Solvedt, and feature the most convincing legato transitions I’ve ever heard. They are pretty much perfect. You’ve probably heard enough about them already, but they really are the best available, and that’s damn impressive. Merethe Soltvedt lends her incredible voice to Jaegers vocal patch. The sound design hangar is also incredible as expected from Audio Imperia. You can easily make a licensable trailer track using just sounds from the sound design hangar as your only FX, not even needing any post processing. If you have any Audio Imperia sound design libraries, you know what to expect. Absolutely top notch sounds and fx here, absolutely no complaints. Overall, Jaeger offers a good value, but I believe it could definitely be improved, and I personally believe there are other packages that offer more for the price. Spitfire’s Albion One ($449), which earned a 9.0/10 score from my review, offers massive percussion, loops, synths, and woodwinds, while another 9.0/10 score went to Berlin Inspire (399 euros, approx $453.42), which offers solo instruments and combined sections. Overall, they still take the cake for me as far as content and value is concerned. While Jaeger does feature great sounding individual instrument sections, offering a level of detail that may not be attainable in the aforementioned libraries, it doesn’t help that the areas where Jaeger seems to be lacking are now going to be sold as additional libraries by Audio Imperia. That’s content that is included in some other packages, that you will now have to pay extra for. For instance: Audio Imperia scrapped their Decimator drums library for Cerberus, and are selling it for 299 dollars, touting it as the epic, percussive companion to Jaeger, as they are recorded in the same space. Basically, I can’t help but shake the feeling some things are missing on purpose with Jaeger. While it offers a lot of great sounding content, and is perfectly useable on it’s own, it’s lacking in quite a few areas that other packages often include. If you buy Jaeger as a first library , and want to truly have epic percussion, you may then feel obligated to buy Cerberus. If you want truly earth shattering low brass and horns that will melt your face off, you’d then invest further in Talos. And if you want woodwinds, be prepared to invest even more into the upcoming woodwind library. Please keep in mind, while I am offering quite a few points of critique, Jaeger is a very good library, but it still feels lacking in some areas, and with the release of so many companion libraries at fairly high prices, it can sometimes feels intentional. Final Thoughts : a bit of an identity crisis? Nonetheless, the library was impressively beautiful, which struck me again as a bit odd, but by no means a bad thing. While it was very suitable for modern and epic music, it seemed it could equally perform at the opposite end of the spectrum, able to produce delicate and soft passages of equal measure, sometimes even better, than the more aggressive sounds. While I welcome this decision, it’s here where the lack of woodwinds really hurts it. For soft passages, to me there is nothing quite like the delicate and expressive sound of woodwinds, and they are sorely missed when you bring this library down to its softer dynamics. This library also combines first and second violins into one section, which again seems to highlight a slight lack of vision... this library is impressive, but can’t quite be a jack of all trades, and, on it’s own, it can’t yet succeed at fulfilling the needs of making truly epic music. For instance: those who want something purely for epic music have louder and more bombastic options such as Metropolis Ark 1, and those who want a more traditional library would most certainly favor a library with pre-panned sections, woodwinds, and first and second violins. You also only get legato patches on cello, violins, vocals, and horns, though it sounds absolutely stunning on those that do feature it. I feel this library could have easily ventured into GREAT or EXCELLENT territory if it expanded it’s content to offer woodwinds, and included epic percussion, maybe even louder dynamics on the horns. One thing I felt was missing originally was the ability to load a full ensemble patch. I had saved some custom multis, one featuring every string section and panned accordingly. However, every time I loaded this multi up, the sample start slider was always reset, and I had to adjust the slider for four different instruments every time I loaded up a project, so my shorts played nice and tight. A minor annoyance, but an annoyance nonetheless One of the new features included in the 1.2 updates is the ability to load up full ensemble patches , however, there are no options to individually pan each instrument section, so it’s a bit of a trade off. Personally I use the ensemble patch for shorts but still load individual sections for every other articulation, so I can pan them individually. Nonetheless, it is very nice to have the ensemble patches available for quick loading and sketching. While it doesn’t offer the fun factor and ease of use as something like Strezov’s Afflatus, it is an excellent feature and works very well, and I’m quite impressed they managed to include this in the update. Another very nice feature is the new vibrato slider, which enables you to load one patch and choose between a non vibrato or vibrato playing style. Overall, the updates are quite substantial (over 10gb), and add some really great features. Added new legato unison interval samples for all legato instruments. The feature is triggered when the sustain pedal is on. Added strings non-vibrato samples and the corresponding non-vibrato to vibrato instrument patches. Added ensemble samples and ensemble instrument patches. Added velocity based polyphonic legato. Added lite, super resource-friendly patches. Added Stereo Spread and Reverse parameters on Sound Design engine. Release samples were denoised and sample starts were adjusted for all instruments. Loops on sustained instruments now use equal power crossfades. 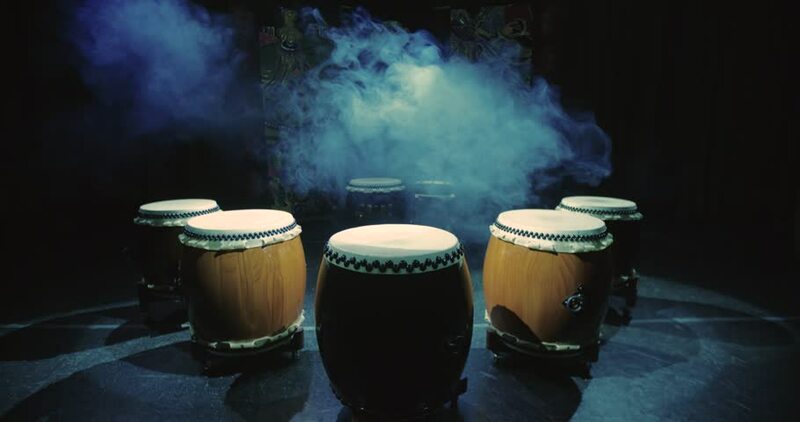 New percussion engine for percussion instruments. Huge improvements in release samples behavior. Release samples are not affected by dynamics after release. Individual patches were hugely optimized and now load much faster. 36.2 GB installed (up from just under 25 GB in Version 1.1). I did notice all patches now load instantly, even before doing any sort of batch resave, which is very nice! + Overall impressive sound, especially for the first orchestral offering from the company. + Brass is bright and powerful, offering some of the most crisp and punchy short notes I’ve heard. +Amazing Legato for Violins, Cellos, Horns, and the impeccable Solo Vocal. +Sound Design elements are second to none. +1.2 updates are substantial and add quite a bit to the value of the library. -Seems to lack a well defined vision…can’t quite do everything, can’t quite nail one niche. -Doesn’t offer as much content as some lesser priced packages, feels a bit stripped down on purpose to sell Cerberus and Talos.